An acquaintance of mine recently needed to go through some complex medical interventions. It was a painful process, but thankfully all went well, or so it seemed. At the point of discharge, her care team was all smiles, with the good news of having successfully dealt with the offending disease. She was told there were no tell-tale remnants of residual disease, she could expect a full recovery. Unfortunately, it was a crafted message of half-truths. She didn’t fare very well subsequently, a repeat operation became necessary shortly thereafter. Well, you can debate about how much you want to know about your own illnesses. Would you rather know everything, or just bits and pieces to carry you through each day? You only can make that call. But you are entitled to full information about whatever you suffer from. Your doctor has no right to withhold any information from you unless you say so up front. You see, you can only make informed choices if already armed with all the facts. You are the custodian of your own health. You make all health-related decisions for yourself. The caveat is being of sound mind and having attained a legal age. Any judgment about your capacity to deal with bad medical news cannot be made lightly. The default position must always be to provide you with as much information as possible, anything withheld from you must stand the rigor of objective scrutiny. So why was my acquaintance fed filtered information about her own health outcomes? She sought some redress and was given some laughable explanations, more colored truths I guess. She wasn’t deemed capable of absorbing all the implications. Everything was going to become apparent in the course of time, and before she was in the know, she might have been dead anyway. Her next of kin had been fully briefed though, but she hadn’t even given consent for such a disclosure. What a farce! She ended up with some compensation, but that wasn’t going to cure her dented confidence with medics. How do you ensure that you get everything from your doctor? For starters, it's your right, make that a given upfront. Ask, and ask again. Requesting a copy of your medical records may also give you some insights. Don’t allow anyone else to be detailed about your medical condition without your consent. Third parties have no right to know. If you suspect some information is being withheld, please say so. Or demand to be briefed by another member of the care team, or one of their superiors. 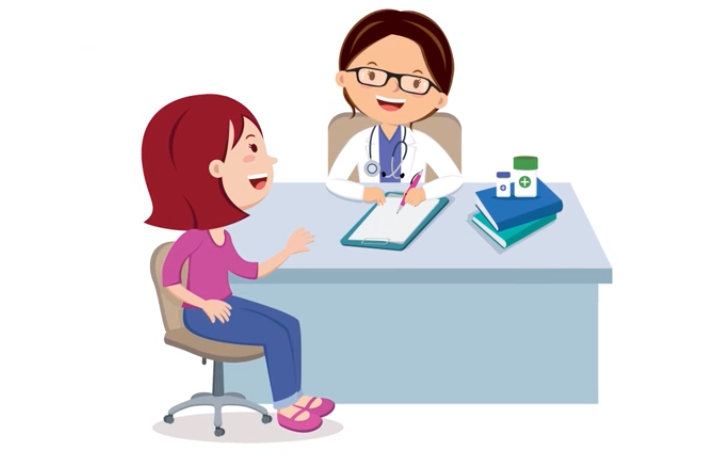 Open communication must always be maintained between you and your doctor. When every bit of information is availed, decisions are easier to make. You feel much better when you are fully involved and informed about your own care.